Take The Quiz – What Should You Do On Your Next Vacation? I enjoy taking random quizzes online. When I stumble into some quizzes about travel, lifestyle and test of knowledge, I feel like it’s a lure for me to click on it and just take that quickly. Lol! What Should You Do On Your Next Vacation? The title of the quiz that exactly asks the question on my mind while planning our next #jillivertravels. You know what’s next, I clicked on it and took the quiz. Haha! It only took me less than a minute to get the result. And as expected, I got this result – The Foodie! Isn’t this accurate?! Exactly what I do each time I travel, I cannot last a day without exploring something new to taste. Wherever the wind takes me, my foodie hat is on to scout for interesting food. 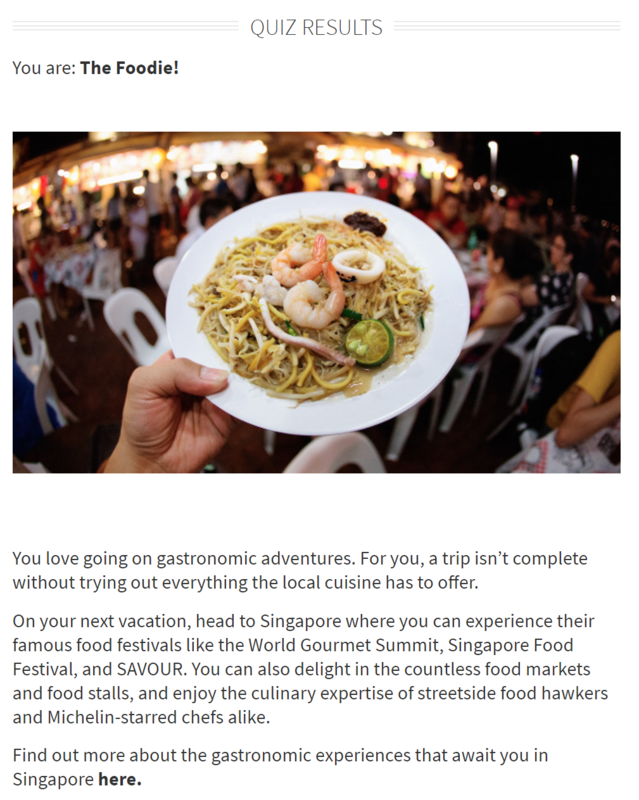 I wasn’t surprised the quiz recommended that on my next vacation, head to Singapore where I can experience their famous food festivals like the World Gourmet Summit, Singapore Food Festival and SAVOUR. 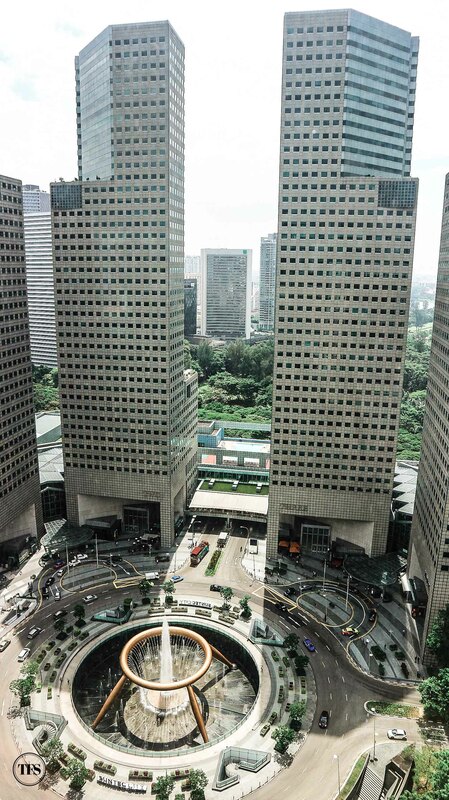 No wonder O and I would always plan a trip to go back and forth to Singapore. 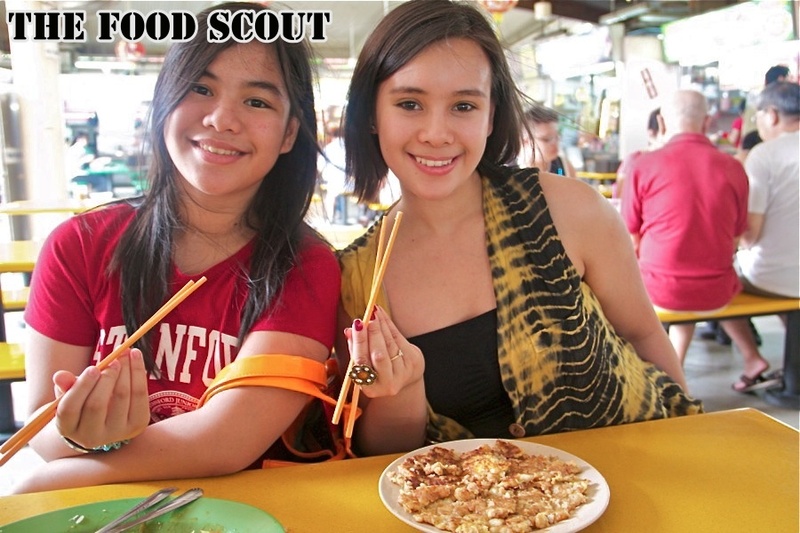 Aside from the beautiful city, it’s their food we adore the most! 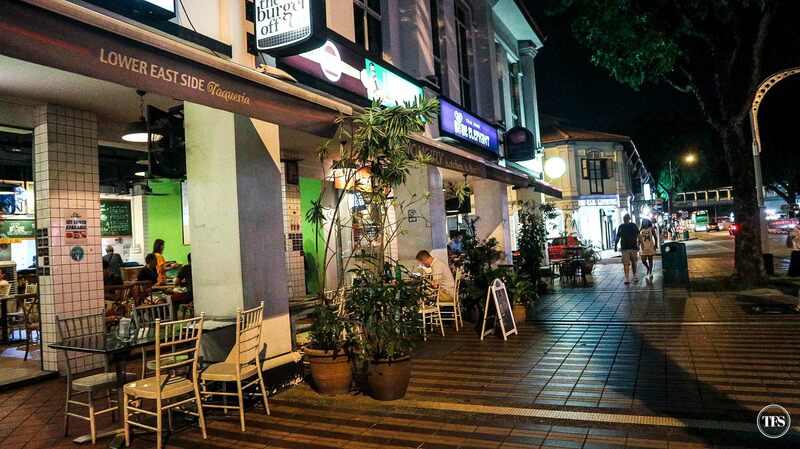 Singapore is one mecca for foodies like us! If you talk to me and O in person about Singapore, you’d probably be annoyed at us for talking about the country and the food non-stop. Hahaha! Most especially O, who lived there for 2 years, his interesting stories about it are endless. 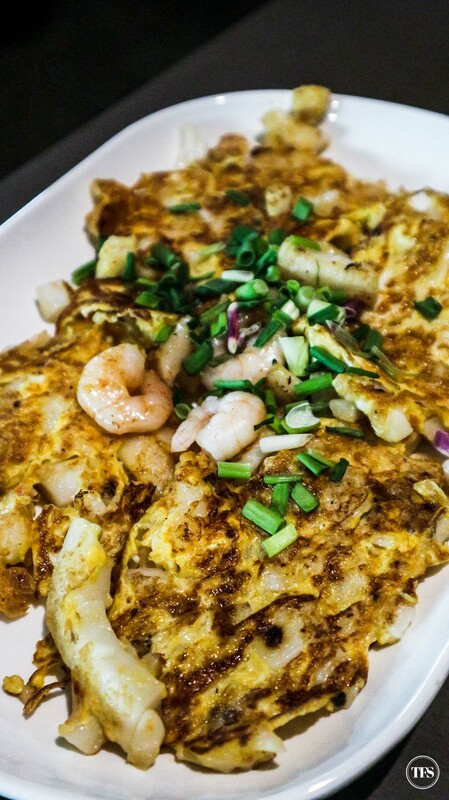 Seriously though, there are so much food to explore in Singapore. I remember last December when O and I stayed there for 4 days. We skipped all the touristy activities and just followed our “eatinerary“. Same goes with our trip a few months ago, all we did was shop, eat and eat some more. Lol! 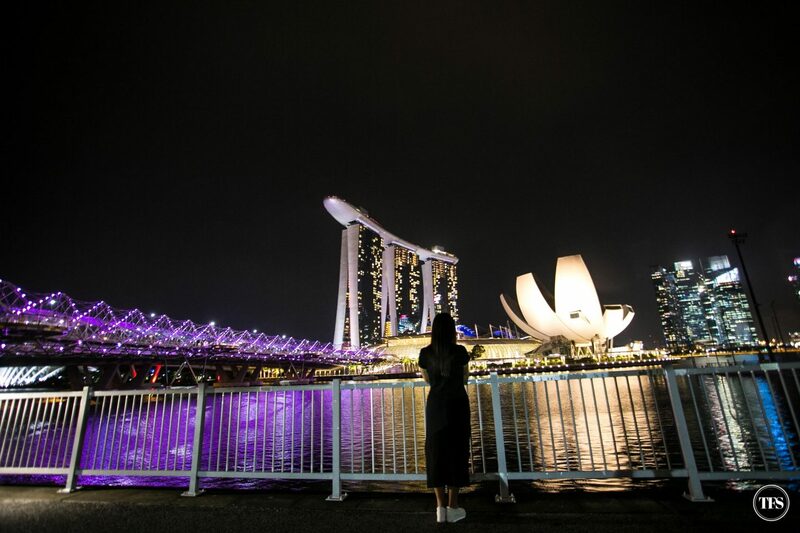 If you’re planning a trip to Singapore soon, you might be interested to check some of my favorites. 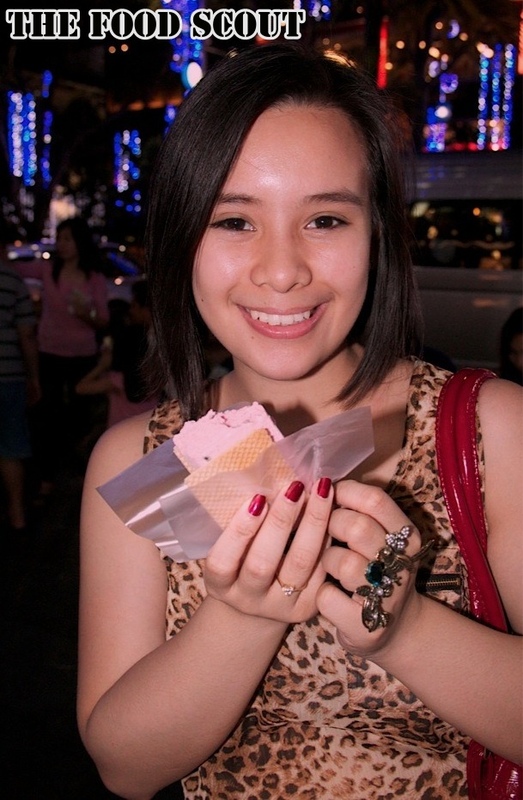 Go to Orchard Road and there you’ll see street vendors selling this (used to be SGD 1) Ice Cream Wafer in different flavors. Hawker centers surely sell Singapore’s Carrot Cake. I always look forward to get one plate every time I’m in the city. I cannot (ever) leave Singapore without getting my Hainanese Chicken Rice fix. 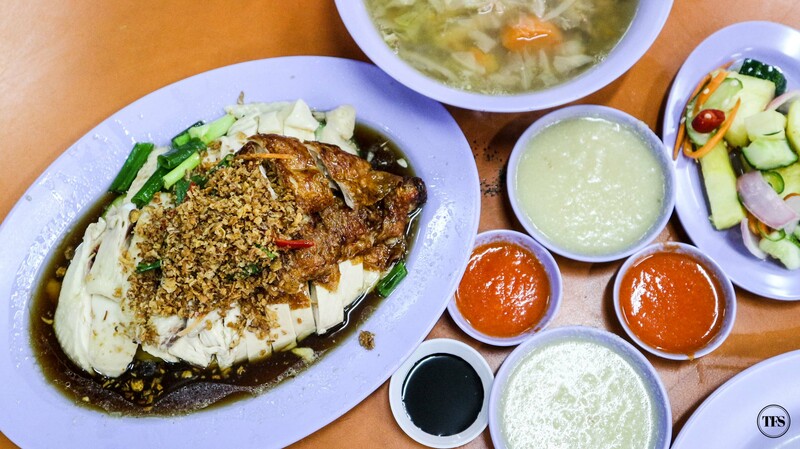 My personal favorite is the one at Delicious Boneless Chicken Rice, Katong area. 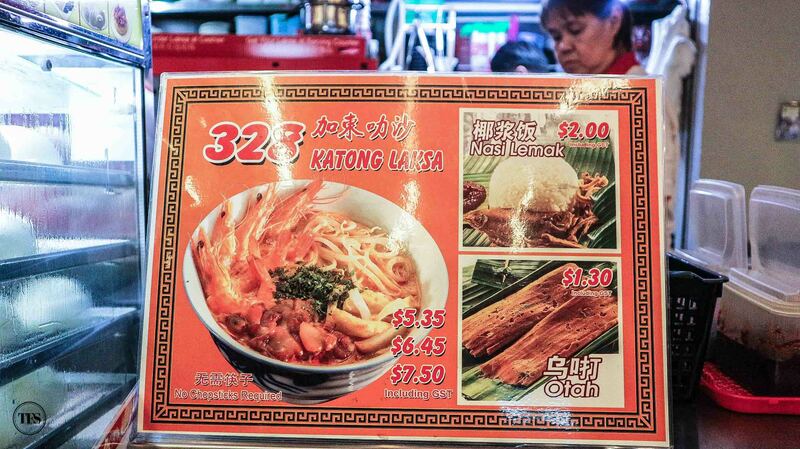 The best and most flavorful Laksa in Singapore is found at 328 Katong Laksa, also at the Katong neigbhborhood. 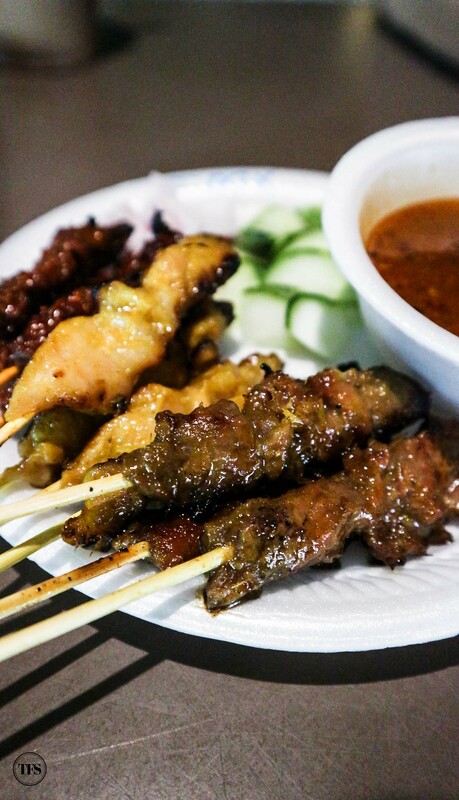 Chicken, Beef and Lamb Satay with thick peanut sauce won my heart over and over. You can always count on this dish to fill your palate with delightful flavors. This one quiz instantly brought me back to so much memories about all my Singapore trips. 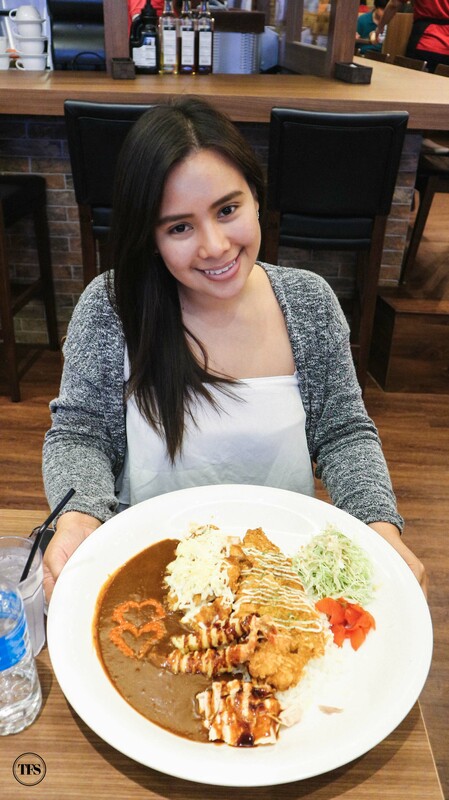 Indeed, I claim to be The Foodie and Singapore has to be my destination for everything my taste buds desire. Haha! On another note, thankfully Singapore is just a few hours away from Manila. It won’t be a hassle to schedule a spontaneous trip to this beautiful country. How about you? What should you do on your next vacation? Go ahead. Take the quiz! Then, share with me your thoughts!